The year 2015 is coming to a close, and it has been an interesting year. With technology advancing on a very fast pace scale it was only natural that the search engine industry take advantage of this fact. Some of the most interesting SEO news and events were caused by the search engines utilizing new technologies within their traditional search paradigm. Mobilegeddon is something we won’t soon forget, as webmasters and SEO’s alike scrambled to design and create responsive style websites to avoid a penalty to mobile search. As mobile internet becomes just the internet with more and more people using mobile devices in their daily life to connect online, Google and Bing wanted their viewers to have a good mobile experience. Thus a deadline was given for all websites to become mobile friendly whether using a mobile version of the site or a responsive layout of the site. This allowed PC users to enjoy their normal viewing pleasure while giving those on smaller mobile screens something more pleasing to look at and read. The use of artificial intelligence within the core of search. Both Google and Bing introduced cutting edge advancements to their search engine algorithms by including A.I into the core of the very algorithms that control the search results. Microsoft introduced Cortana, a digital assistant that is very tightly integrated with the search engine Bing. Cortana is a master of conversational search. On the flip side Google brought to the spotlight RankBrain, it’s A.I that is being used to better the search results for everyone. Specifically, RankBrain will make the new and never searched for before search phrases pull up better results than in the past. Google stated that 15% of their searches are these types of searches. With the introduction of Windows 10, which now currently has more than 200 Million installs, Cortana was introduced to the masses as an intelligent personal assistant that resides on all Windows 10 devices such as PC, phone, tablet, Xbox One, and soon to be HoloLens. Cortana is tightly integrated within the operating system and with the search engine Bing. This caused many people to give Bing a second try or in some cases a first try. The result is that Since the release in July, Bing’s search shares have continued on a growing cycle while the search engine giant, Google, has fallen to a still respectable 64% search share. With the month of November being the first ever profitable endeavor for the search engine that had previously been a money sink, Bing. Conversational search has been added to both search engine giants. This means a lot to owners, webmasters, and SEO’s alike should take notice as the old ways are dying and new ways are coming to pass. With conversational search the user usually speaks directly to the device and asks a question. Google Now, Cortana, or Siri will then respond by either answering the question verbally which it gets from the search engine or by serving up search results for you to get your answer out of. In the past the website must have had the keyword within the site for it to be ranked for it within the search engines. By using the A.I. the search engines can put words together and understand what the user is actually asking for and serve up the proper page even if the keywords searched are not contained in it. This is a huge step for search. Also in the great year of 2015, blackwood Productions has undergone a huge transformation both technically and visually. Starting with the move from the domain blackwoodproductions.com to the domain blackwood.productions. Although a lot has been accomplished under the hood what users will most likely take notice of is the new and modern layout of the user’s account dashboard and the addition of the many different reporting charts and feature options. 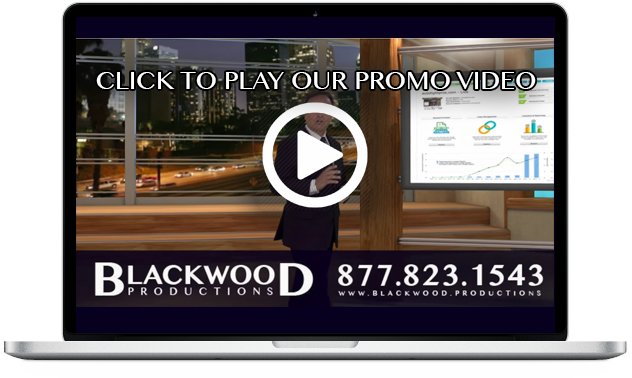 With a completely overhauled SEO platform with a proven record and for the first year ever of utilizing social media outlets to communicate with our friends and followers, Blackwood Productions is poised to make 2016 an outstanding year for SEO. A lot has happened to each and everyone one of us this year. We at Blackwood Productions just hope that most of those things that happened to you were of the good and not the bad variety. We would also like to wish everyone out there a Happy Holiday and a Very Happy New Year from our family to yours! See you in 2016!